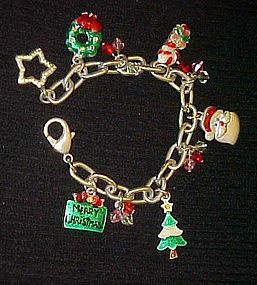 Wonderful and well made charm bracelet is heavy duty plated silver tone with Christmas charms. Enamel coloring, There are red, white and pink faceted stones alternating between the charms.Some of the charms have tiny sparkling stones. Tastefully made to wear with any Christmas outfit. Will fit a 8" wrist. Cute and festive Chrostmas tree pin by Russ. Made of plastic and measures 2 3/8" tall. Good condition. some rubs on the "ornaments". Adorable. Marked Warner Brothers 1985. 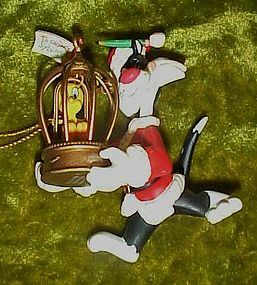 Pvc ornament of Sylvester dressed as Santa. He has Tweety in her cage. I'll just bet he's not giving her to Granny because he has changed the gift tag to, TO SYLVESTER! Tweety swings on her perch. Christmas ornament measures 2 1/2" Excellent condition but no box. 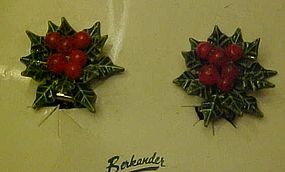 Pretty bright red and green enamel on gold tone poinsettia pin. Measures 2 1/8" long and is in bright, shiny, like new condition. A great holiday accent for your Christmas attire. Sweet pin made of hard molded plastic. Adorable for easter. 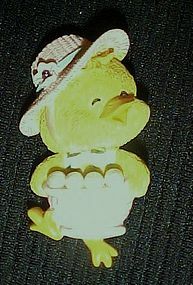 This little Easter chick is dressed in her Sunday bonnet and holds a basket of eggs. the eggs are little faux pearls. Pin measures 2" tall, and pin back works well. Pretty candy cane pin for your holiday outfit. Goldtone with enamel accents of alternating red, green, white & gold striping. Measures 7/8". Excellent condition, probably has never been worn. Check out this adorable bracelet for the Christmas season. Heavy goldtone plated metal with enamel decoration. Charms and beads slide on a double chain. 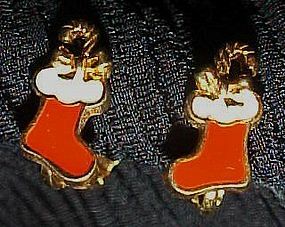 Charms include Christmas presents, candle sticks, bells, and Santa claus. Will fit up to a 7 1/4" wrist. Like new condition, and probably has never been worn. Shiny and festive!! Festive holiday pin for the holiday season. Gold tone with painted accents of red and green. Measures 1 1/4" x 1 1/2". A few tiny flecks of paint appear to be chipped but was possibly made that way. Nice condition and works well. Festive gold plated Christmas pin is a bell with pinecones and holly accents. Hand painted decoration. Pin measures 1 1/4" x 1 1/4". Nice condition. Pin is signed on the back but is hard to read. Looks like rooox or radox (???). Has a copyright mark. Pretty and festive to accent your holiday apparel. 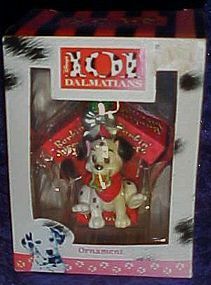 Here is an ornament featuring one of the 101 Dalmations puppies. This ornament is from Enesco. Copyright Disney. This holiday ornament has a Dalmation puppy sitting in front of a dog house made from Barkin' Biscuits Boxes of dog snacks. The Dalmation dog has a star shaped cookie in his mouth and is wearing a red bandana. 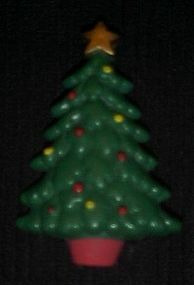 This Christmas tree ornament measures 3" tall and 2 1/2" wide . Comes in original box and has never been displayed. Box has a few bends. 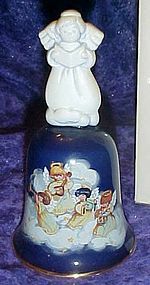 Festive 5 1/2" tall porcelain Christmas Bell issued by Avon in 1990. The front of the bell shows to mice snuggled and sleeping in a chair waiting for Santa to fill their stockings. The back of the bell has Christmas 1990. Sorry no box. wonderful condition no damages. 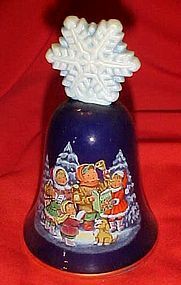 The 1987 Christmas Bell is a beautiful cobalt blue with a scene of carolers. It is porcelain with a snowflake-design handle and 22k gold trim over cobalt blue. 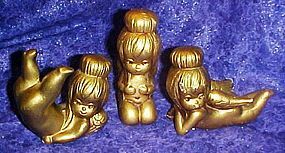 It is dated 1987 and bears the Avon Collectibles logo. Standing 4 3/4" tall with a regular price of $22.00 per the campaign 25 in the 1987 Avon pamplet. Perfect condition, but no box. 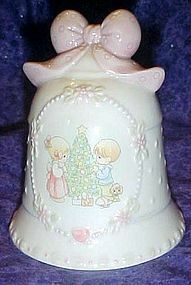 1997 Avon Precious Moments Christmas Bell made of fine porcelain. 4 1/2" high. Mint condition in Original packaging and Box. Never displayed. I also have one identical, and perfect with no box for 15.00. 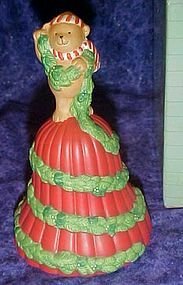 Retired AVON 1981 Porcelain Christmas Bell that is new in the original box. The bell is titled "GARLAND OF GREETINGS". The bell measures 4 3/4" tall. 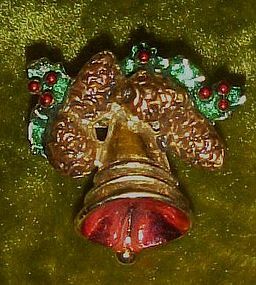 It features a Bear with a striped hat and scarf, holding white berry, holly garland that he has draped around the bell. 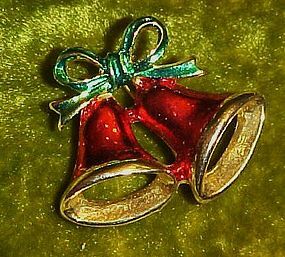 This is a great Christmas Gift or addition to your own Bell Collection.